I've started another new theme and this idea came to me after playing my Wii again after months of not touching it. 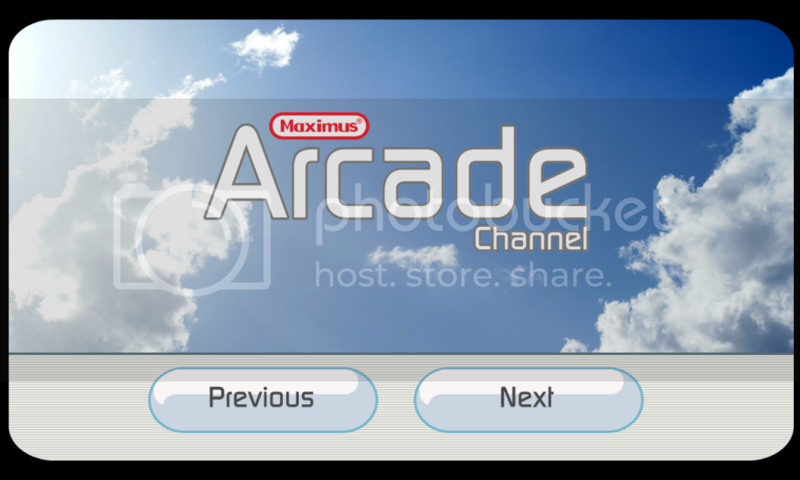 I think the 'channel' theme of the Wii would be good to try emulate on MA. Obviously, we can't have all the emulators and games on the screen at once, but I think what I have envisioned in my head will be a lot more suitable for MA. It might take a little while to finish, so there won't be any downloads for a while but I thought I'd start this thread to show you my progress and what my next steps are. EDIT: Now that I've spent a bit more time on this, I've given the theme a proper title and intro screen. I'm thinking, to get the rom selection menu to have more of a 'Wii' feel, it might be best to change the MA controls for 'Up' and 'Down' to left and right. 'Left' and 'Right' will also have to stay as left and right too. Also, the marquees need to be disabled for this theme to function properly as I've replaced this image with the main background. It'll look screwed up if the marquee locations are left in the preferences. I'll just edit this first post with new images, rather than add a new post every time I have something new to show off. 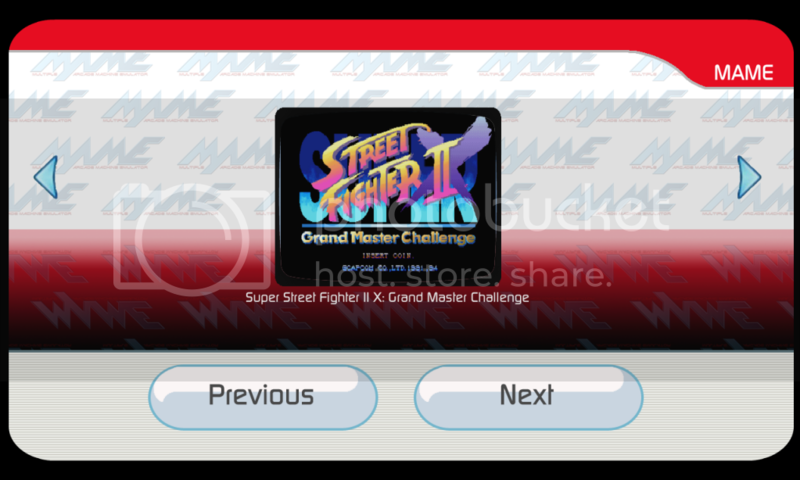 EDIT: I've played about with the rom selection screens and came up with these. I've tried to copy the colour scheme of the official Wii screens (for the most part) but I don't have a lot of different Virtual Console games. The arrows are animated just like the official Wii ones, I might need to reduce the number of frames to get them closer to the official ones. I had also recorded some audio that just needed edited and converted to .wavs but I seem to have lost it. I'll have to re-record it for a future release. CURRENT SUPPORTED EMULATORS: Mame, Zinc, Model 2, CPS3, NES, SNES, N64, GB, GBC, GBA, Mega Drive, Master System, Sega CD, PlayStation, Atari 2600, Atari 5200, Atari 7800, Jaguar & Batch Files (renamed to Windows). Looking good! Very well done idea for a theme. Very clean looking. I've spent the last couple of days totally redoing this theme and it looks a lot better now. I Need your help though. I've done about 15 or so of the main consoles/emulators but I just want to know which ones you'd want to see finished for the 1st release. The ones I've done so far are: Mame, Zinc, Model 2, CPS3, NES, SNES, N64, GB, GBC, GBA, Mega Drive, Master System, Sega CD, PlayStation, Atari 2600, Atari 5200, Atari 7800, Jaguar. I've also made an alternate page for PlayStation with the PSone logo and I'm going to try to make alternate pages for Genesis and Mega CD (if I can find decent logos for those). Any update on this theme? 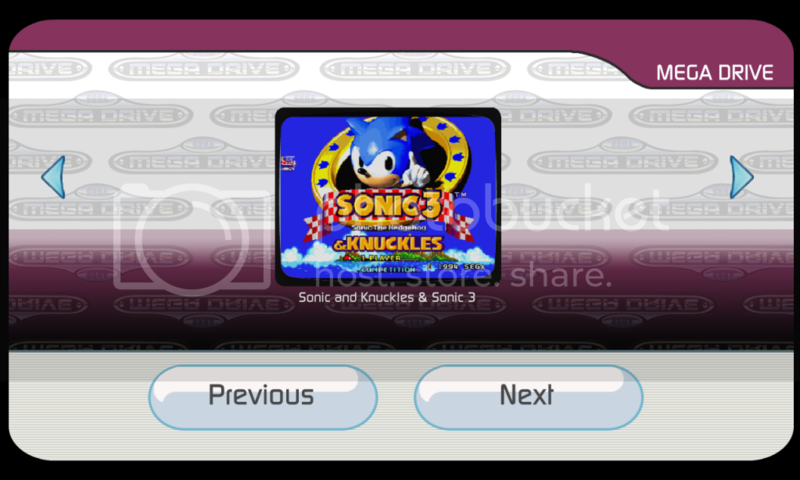 Yeah, got quite a bit done, I just want to know what emulators people want to see completely finished for the Version 1.0 release. I've completed the ones mentioned in my previous post, just need to get the audio again from the Wii menu. 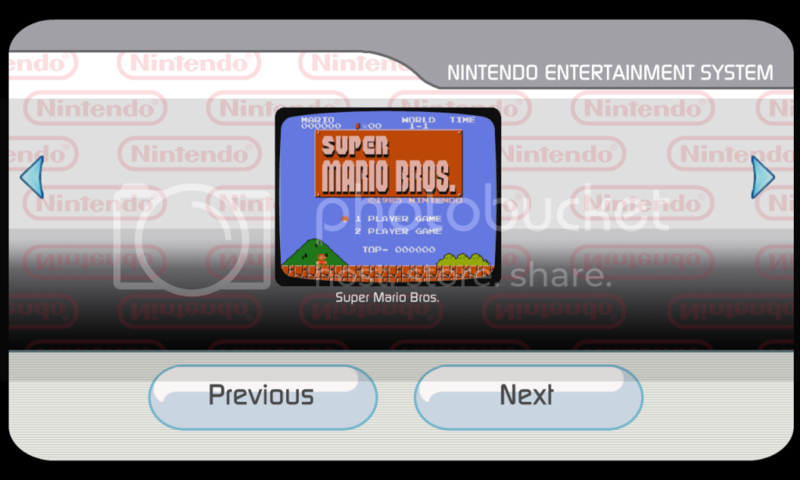 What emulator selection screen do YOU wanna see finished first? I could try knock out a download in the next few days (since I'm at work quite a bit). The ones you have above are great. I'm only running MAME at the moment and a few pc games with batch files. There we go, download link is now in the 1st post. Let me know of any other resolutions that you lot use and I'll convert it for ya for the next release. Same goes with emulators that you want added in. I'll whip them up for the next release too. It only supports 1280x720 at the moment. Let me know of any other resolutions that you lot use and I'll convert it for ya for the next release. Thank you very much. I currently have my resolution set at 640x480. nah, not yet. sorry lol. I've not really touched my PC in a while, let along MA or the theme editor. Next time I've got a bit of free time off work, I'll try convert this to your resolution for ya. Ok thanks. I appreciate it.